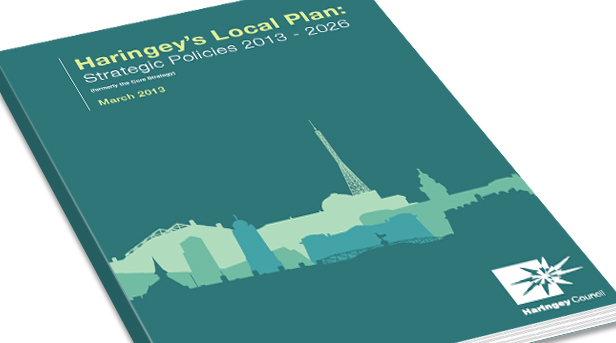 Description: Haringey’s adopted Local Plan simply communicates the vision and key policies for the areas future development up to 2026. 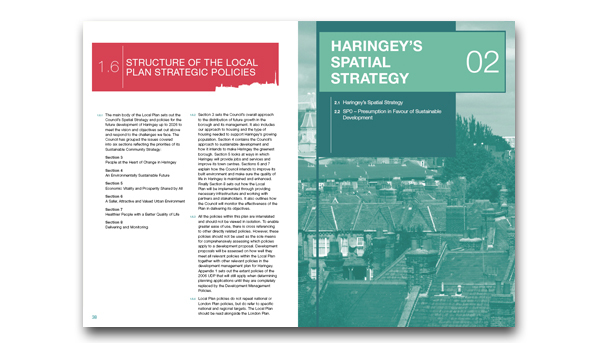 It progresses the priorities and plans of the borough’s Sustainable Community Strategy, to first identify a vision for Haringey as a place to live, work and visit. 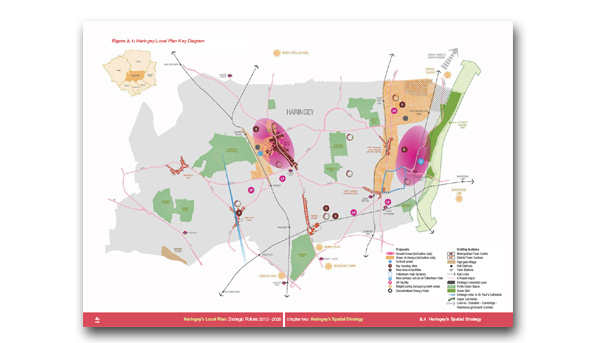 It contains key policies and an implementation framework to ultimately deliver the vision. 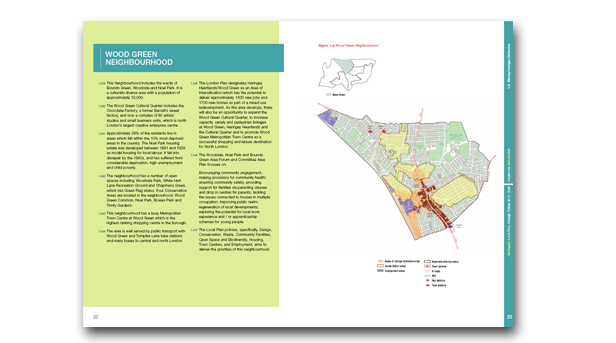 Main challenge: Creating an exceptionally high quality document that achieves complete clarity and legibility to appeal to both professionals as well as the general public. 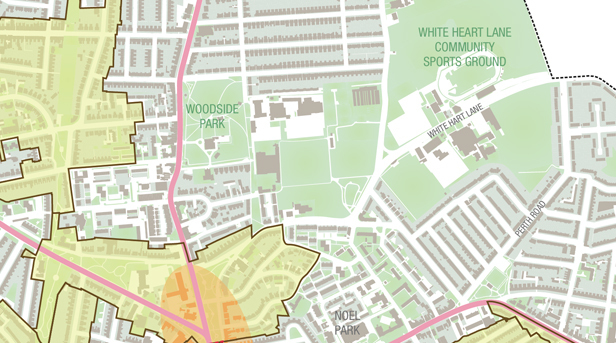 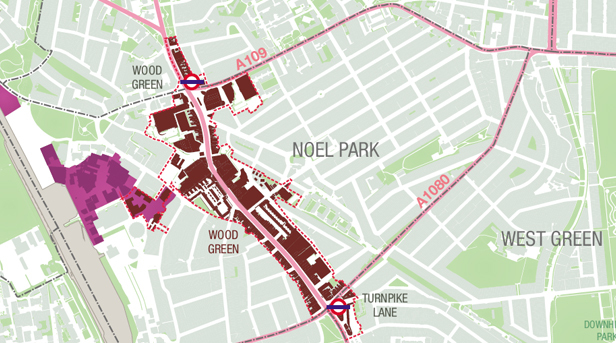 What we did: Working in association with Haringey’s Planning Policy, GIS, and Communication teams, we designed the 200 page document which included over 50 borough wide maps.